“We had a black eye in the industry and had to win back their confidence so I spent a lot of time visiting clients,” says George Flores, president and CEO of Crystex Composites LLC. Select advertising mediums carefully. Crystex Composites found prime placement on Internet search engines to be a valuable way to reach potential buyers from across the globe. Be conscious of quality. Poor-quality products will never penetrate an international market. Meet clients face-to-face. The interpersonal touch builds credibility and helps break down geographic and time barriers. George Flores’s career progression proves persistence pays off. 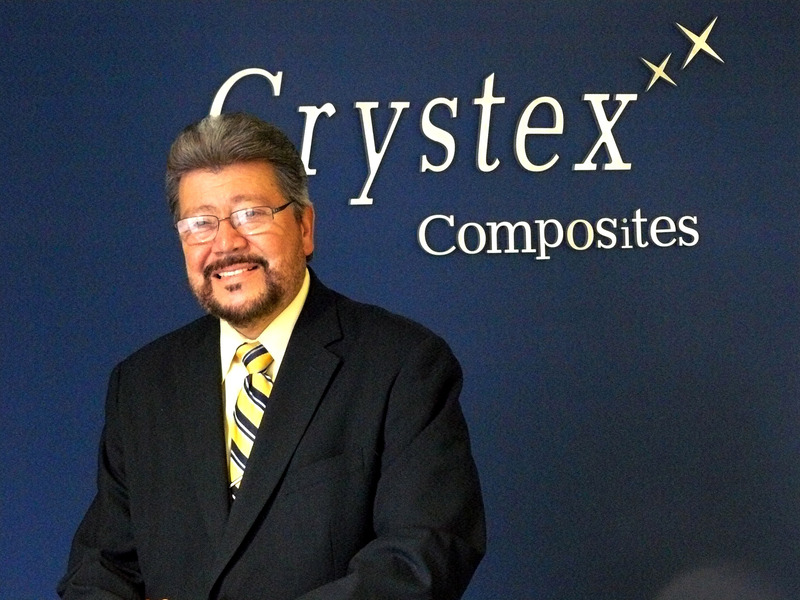 A highly skilled toolmaker by trade, Flores worked in almost every department of Crystex Composites LLC, a manufacturer of glass-bonded mica materials, for 27 years before becoming operations manager in 1996. Little did he know, his experience would lead him to become president and CEO of the company and give him the ability and endurance to guide the changing company through rocky times. When Flores first joined Crystex in 1969, the company’s products were providing solutions to the electrical and electronic industries that could not be achieved with other products available at that time. Over the years, however, new higher-temperature, polymer-based materials became available. The evolution of electronics also resulted in electro-mechanical devices being replaced by electronics that are smaller, lighter, and did not require the comparatively large components made by the company in the 1960s, leading to a decline in sales. In 2003, the company that owned Mykroy/Mycalex—the trade name Crystex products are sold under—was facing major problems and was sold, but the purchaser had no interest in the glass-bonded mica business. Flores, who by then knew all aspects of the business, was convinced that the product and its potential had been neglected. He was certain that given the right support and marketing, there was a bright future, and in October 2003, he took a calculated risk by purchasing the company. Since then, the company has enjoyed consistent growth. Products made by Crystex are used in diverse industries across the world including glass making, aerospace, rail vehicles, semiconductors, and scientific instrumentation. Turning the company around was no easy task. In order to regain credibility for his company, Flores began visiting customers face-to-face. “We had a black eye in the industry and had to win back their confidence so I spent a lot of time visiting clients,” Flores adds. Flores also set about changing the way the company was marketed to promote the unique benefits of its products—a move that would catapult the company into the international arena. Crystex Composites utilized search engines, such as Google and Yahoo, to reach potential buyers in untapped regions. An attractive and easy-to-navigate website set the mousetrap; inquiries poured in from around the world. After extensive evaluation of the material, the company was anxious to solidify a relationship with Crystex. Flores traveled to Japan to make a formal presentation on the product and company history and the two companies signed a formal distribution and marketing agreement for Mykroy/Mycalex glass-bonded mica products and Mycalex Insulators in Japan. By December 2010, this company had grown to become Crystex Composites’ largest export client. These days, Crystex Composites supplies products to businesses in several European countries, China, Korea, India, Colombia, Mexico, and throughout the United States. Despite the differences in languages, cultures, and business customs, one truth is universal: Once a relationship is forged, the product quality keeps customers coming back, Flores says.